Up to 70% of the electrical energy generated per year in the United States is wasted. This could be owed to the fact that the energy comes in the form of heat, which is then allowed to escape from its sources such as electronics, vehicles or industrial appliances. For example, you may find that your phone heats up more when gaming or running heavy-load apps. This phenomenon is known as waste heat. New inventions or developments that could re-purpose more waste heat would be welcome, as doing so could cut down on overall energy use. Alternatively, waste heat could be recycled for use by the very devices that emit it out. A team of researchers has developed a complex chemical that can act somewhat like a car's engine to convert waste heat into electricity. They also claim that their new compound, which is termed a pyroelectric or ferroelectric thin film, outperforms other similar prototypes. 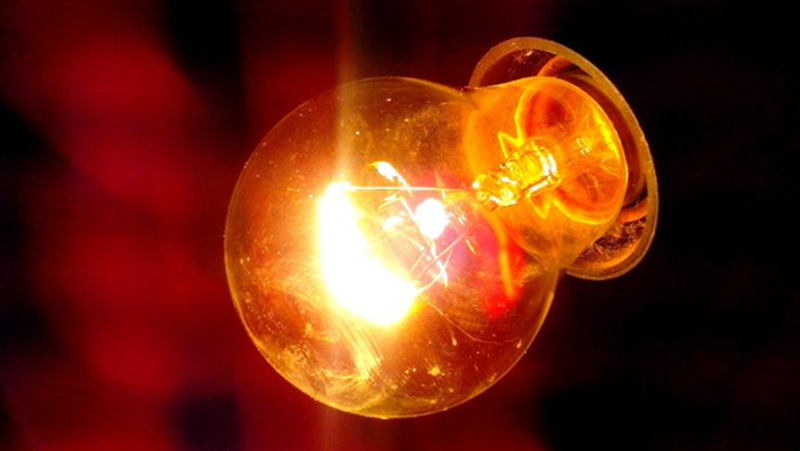 How Does Pyroelectric Conversion Work? 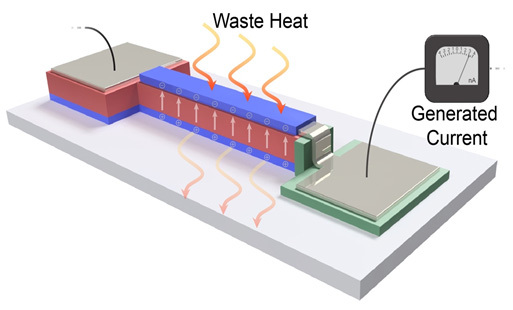 The team of scientists, who completed this project at the University of California and Lawrence Berkeley National Laboratory in Berkeley, assert that their new pyroelectric device can rival existing thermoelectric solutions for waste heat harvesting. The compound, known as a relaxor ferroelectric, comprises of lead, magnesium, niobium, oxygen, and titanium, in precise yet unusual proportions (the chemical formula is [0.68Pb(Mg1/3Nb2/3)O3]-[0.32PbTiO3]). This substance is capable of converting heat, even at relatively low levels, into electrical energy via its polarization properties. This process, in turn, translates into a pyroelectric response, measured in coulombs per meter squared per kelvin, of −550μC/m2K. Pyroelectrics function by rotating polar states around within their structure in accordance with the principles of thermodynamic cycles. This phenomenon can be driven by either thermoelectric fields (i.e., heat) or electric fields. Some compounds also exhibit spontaneous polarization in response to these impulses. Therefore, pyroelectrics can convert temperature fluctuations, over time, to electricity. Other forms of pyroelectric material have been incorporated into sensors for temperature, air quality, gases or motion. Nearly all pyroelectrics, currently in use, are also thin-film materials, which makes their integration into small electronics very easy. However, the actual pyroelectric response of many has been underwhelming (as little as 65μC/cm2K, in some cases). The new form of pyroelectric film has reported exceptionally efficiency in the conversion of heat to electrical energy. In addition, it was also associated with a power density of 526 watts per cm3 and an energy density of up to 1.06 joules per cm3. This property means that the material may have significant advantages as a waste-heat scavenger module. Furthermore, the new film is ultra-thin, compared to other pyroelectrics, at just 50 to 100 nanometers high. It was this feature that allowed the researchers to measure its outputs and inputs with appreciable accuracy. The film can also be considered a solid-state system for heat reclamation. In other words, it requires no other components to convert energy from one form to another. Waste heat is a sizeable problem for electronics and automation today, and may only get worse in the future. The amount of heat generated grows. In addition, modern processor power doubles once every 18 months or so. This occurrence has led to an ever-growing demand for cooling solutions, such as fans (which can be a custom-made or third party) or water-filled systems. Therefore, pyroelectric films may be a welcome inclusion in computers rather than either cooler type, which also often require power themselves. For example, some supercomputers can heat their liquid coolers to as much as 45⁰C. The amount of energy involved in doing so could now be repurposed as more power for the system in the future. Pyroelectric converters could theoretically also convert regularly fluctuating temperatures into electricity. This may be a feasible option for a future in which the technology is well-streamlined and advanced. Such devices could be exploited to power low-energy systems such as sensor arrays. The main competitors in doing so (and in terms of waste heat harvesting, in general) are thermoelectric generators. They convert heat to electricity or into electromagnetic fields using the Seebeck effect, while pyroelectrics convert heat through the Ericsson cycling effect. However, thermoelectric generators may only operate in situations where heat increases steadily and predictably, whereas pyroelectrics do not need such requirements. Pyroelectric compounds are part of an emerging technology in which heat is converted into electricity. Accordingly, advanced pyroelectrics are currently being investigated for their potential in the re-purposing of waste heat. This form of energy is lost to the system in the case of many electronics, cars or heavy machinery. Some researchers argue that the inclusion of pyroelectrics, which come in the form of nearly nanometer-thick films, can help conserve electricity, in general. But, a new form of a pyroelectric, a thin-film device, which contains titanium and niobium, has demonstrated improved energy density, power density, and energy-conversion efficiency. This study, which also features in an April 2018 issue of Nature Materials, has indicated that the new pyroelectric may be able to replace existing thermoelectrics in waste heat reclamation. S. Pandya, et al. (2018) Pyroelectric energy conversion with large energy and power density in relaxor ferroelectric thin films. Nature Materials. A.-S. Siao, et al. (2015) Study on Pyroelectric Harvesters with Various Geometry. Sensors (Basel, Switzerland). 15:(8). pp.19633-19648. C. C. Hsiao, et al. (2014) Multi-frequency band pyroelectric sensors. Sensors (Basel). 14:(12). pp.22180-22198.